The handling of your machine is the most crucial part of riding and racing your motorcycle. 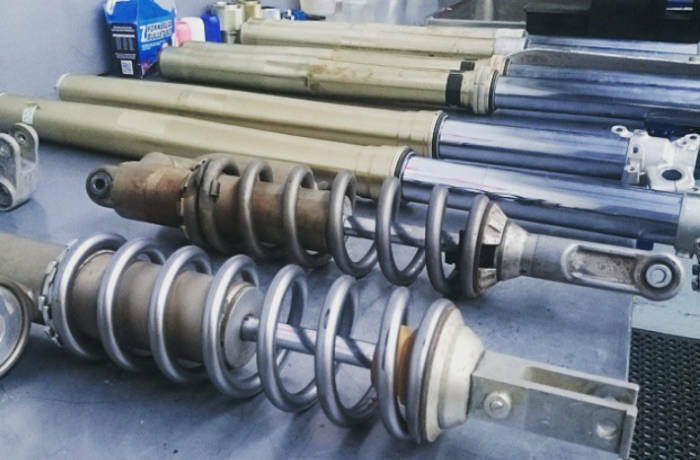 Suspension can also be one of the most neglected parts on your motorcycle. It is crucial to keep your suspension serviced and maintained to keep your bike riding and handling smooth. 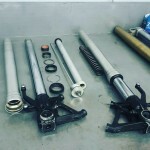 From top to bottom service and re seal for all forks and shocks. Linkage and head set bearings.